Detached cottage in delightful rural setting. 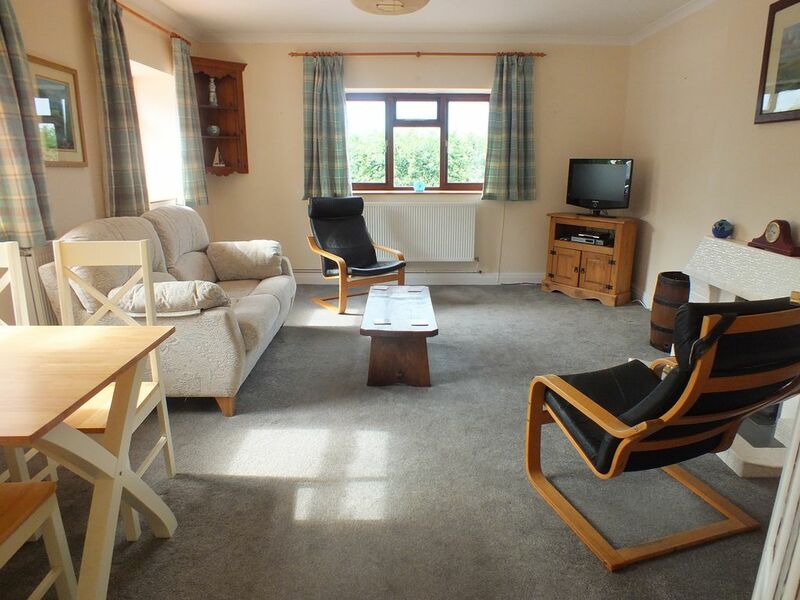 Welcome to our bungalow which is Situated on a quiet country lane in the beautiful Pembrokeshire countryside. The sandy beaches of Tenby, Saundersfoot and Manorbier are all a short drive away. It is an Ideal year-round location for couples and young families, as there are numerous nearby attractions to suit all ages and interests. Pembroke, Manorbier and Carew castle are all nearby. The beatiful setting of Carew tidal mill and millpond is a mile down the road, as is the nearest pub. Other visitor attractions include: Blue Lagoon water park, Dinosaur world, Folly Farm, Manor Farm, Oakwood theme park, The Chocolate factory. Boat trips to Caldy Island set off regularly from Tenby. Or take a boat trip to Skomer Island to see the puffins. The possibilites are endless, and you'll want to come back again. Laundry/spare room: chest of drawers, iron and board, clothes airer. Bed linen provided, bring your own towels. Outside: private enclosed rear patio/garden area with open view. Ample off-road parking for 2/3 cars. 2 adult bikes available for your use. Good value for money, comfortable little cottage! We had a very pleasant stay in this comfortable little cottage, situated near to many local attractions and in a lovely rural spot..